Beluga Black Lentils are small, black lentils that are grown in the self-mulching soils of the Wimmera in Western Victoria. 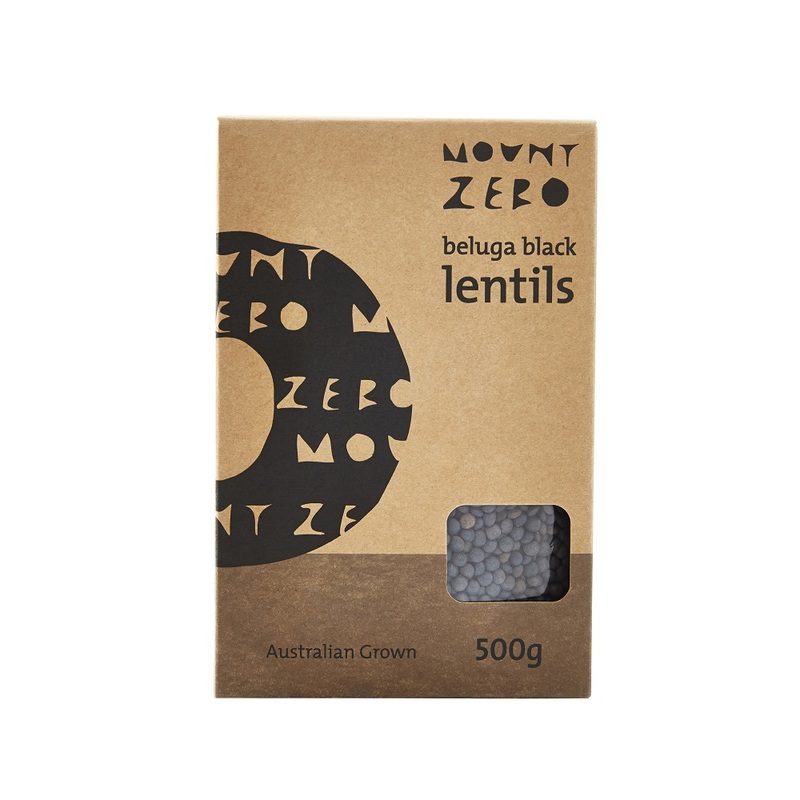 These lentils hold their shape when cooked and thus are great for soups, salads and bedding for meats & fish. They also offer a great colour contrast in a Pilaf with Mount Zero Persian Red Lentils or rice. Our large range of top quality pulses and grains are grown and sourced from the fertile regions of the Wimmera and Tasmania. The range includes popular superfood Quinoa, our very own Bio-dynamic Soup Mix and Organic Chickpeas.